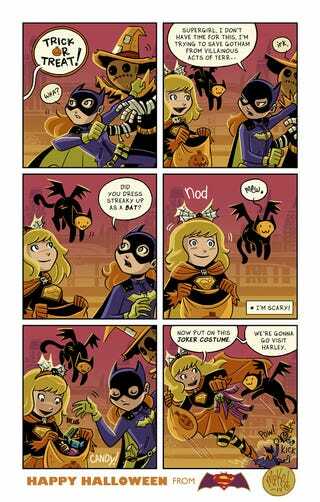 It's become a holiday tradition that Mike Maihack gives us a new Batgirl/Supergirl comic on Halloween. The comics are always adorable, and this time is no exception. And we get a new character! Streaky the Cat! Did I mention this was adorable? Cause this is clearly adorable. You can check out the rest of the Batgirl/Supergirl comics here, and you can check out Maihack's further work here. I recommend both as Mike is a fantastic artist.